The Boston Museum of Fine Arts is considered to be one of the largest museums in the country. It is estimated that more than a million visitors come to see the exhibits that are displayed here, making it the 54th most visited museum in the world. 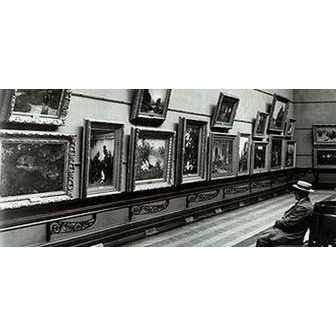 Known to have more than 450,000 pieces of art, the collections began when it was founded in 1870. The museum is also affiliated with an art academy called the School of the Museum of Fine Arts. It has a sister concern called the Nagoya/Boston Museum of Fine Arts in Nagoya, Japan. The museum is open all days of the week and a visit is charged by a ticket. However, if one wants to go visiting without having to pay, the person can choose to visit on Wednesdays after 4pm when the museum is free to visit. The good thing is that one can buy a ticket and then see the collection and in case a person has not been able to complete the tour, he or she can come back within 10 days and continue the tour without having to purchase another ticket. The collections that the museum has to offer can be divided into various groups. Some of them have been classified based on the continent that they are from. In addition to that there is the ancient world collection, the contemporary art collection, photography collection, prints and drawings collection, musical instruments, textiles and fashion arts, jewelry, provenance, archives, publications and images of the Museum of Fine Arts. The museum believes in making learning fun for all those who are interested and there are various programs that are created each year. There are film screenings, studio art classes, lectures and courses, teen programs, kid programs and school programs that are organized. The exhibitions are changed regularly and therefore one can hardly ever feel that they are seeing the same thing over and over again. The mission statement of the Boston Museum of Fine Arts was adopted by the Board of Trustees in 1991. The museum aims at housing and preserving preeminent collections and to ensure that a wide variety of people encounter the works of art and are inspired by it. The Museum prides itself in having the highest quality of standards in all its endeavors irrespective of whether it is the use of specific methods to preserve the collections or the manner in which programs and special events are conducted in the museum. The museum also intends to help those who are familiar with fine arts and those who are looking at getting familiar with the same at various levels. Exhibitions, programs, research and publications are the methods that are chosen by the museum in order to provide all the support that they can to art lovers. The trustees of the museum believe that they hold the collections for future generations to learn from. Conservation therefore becomes extremely necessary and an important part of what the museum does. In addition to that, there is always a continuous search for newer areas that may have been neglected thus far. The museum has the talent that is required to interpret and document its own collections and believes that they celebrate all kinds of cultures and works of art. The museum also intends to stimulate the senses of a casual visitor in order to make them realize the power of fine art. This, they feel helps people have a better awareness, understanding and appreciation of varied cultures and traditions. The Boston Museum of Fine Arts does this in a more direct manner by providing educational opportunities for visitors and those who register as members, by creating visual experiences. In addition to that there is also the affiliated School that helps students graduate in fine arts too. Even though the museum was technically founded in 1870, it was opened to the public in 1876. A large part of the original collection was taken from the Boston Athenaeum Art Gallery. During the time of its opening, the museum had 5,600 works of art. The museum was located in a Gothic Revival building that was designed by John Hubbard Sturgis and Charles Brigham. This was an ornate building located on Copley Square in Back Bay in Boston. The museum moved to the Huntington Avenue location in 1909 and the avenue was nicknamed the "Avenue of the Arts". Guy Lowell created the master plan for the current Boston Museum of Fine Arts building. The plan was created in such a manner that it could be built in stages since funding was required for each phase. The first phase was completed in 1909 and it had a 500 foot facade of granite, a grand rotunda and some exhibitions galleries. The second phase of the building was funded entirely by Mrs. Robert Dawson Evans and this was opened along with the Back Bay Fens in 1915. The Decorative Arts Wing was opened in 1968 and the Norman Jean Calderwood Garden Court and Terrace was opened to the public in 1997. Despite the fact that there has been an attempt to constantly grow the Boston Museum of Fine Arts, there was a massive renovation project that was undertaken in the mid 2000's. This also included the construction of the America's Wing that contained exhibitions of North, Central and South America. The European and Classical galleries were also expanded. This expansion increased the area of the museum by about 28 percent. The first curator of prints for the Boston Museum of Fine Arts was Sylvester Rosa Koehler. Some of the other notable curators of the museum have been Fitzroy Carrington, William George Constable, Ernest Fenollosa, Okakura Kakuzo, Ananda Coomaraswamy, Robert Treat Paine and Anne Nishimura Morse.